Tournament Notes: What's this?!? New names on the winners board?!? That's right, this tournament finally saw a new group of guilds ascend to the top & a brand new guild win their first ring. To explain how this miraculous event came to pass we must first go back to that change in the gem reward system made at the end of tournament 14. After tournament 14 EA released update 4.2 which drastically slashed the amount of gems won in tournaments by 75% in some cases. DKDev_Chris wrote: As promised, here are the new Tournament rewards with update 4.2. Again, this does not include Blitz Tournament rewards, but rather the “normal” Tournaments that occur every other week. This ENRAGED some players, to say the least & caused the start of a boycott against buying gems until the gem awards were reverted back to their previous totals. All the previous top guilds agreed to the boycott & in fact they went a step further & vowed to not even use gems during this Blitz tournament. It is perhaps for this reason that we find new names on the winner's list this go 'round. I say perhaps because I don't wish to diminish the accomplishments of our new champs. In just one 24 hour day the top two guilds of this tournament both earned more stars than the winners of our first Blitz tournament, Dread Dungeon who earned an impressive 94,245 stars. It would defiantly appear that these guilds did NOT agree to the boycott on using gems. I have been told they did not buy gems however, but who can say for sure. 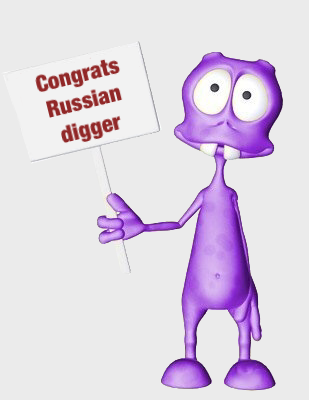 Congrats to Russian diggers on your first ring & welcome to the club. Also of interest in this tournament was just how low the participation in it was. There was supposed to be 10 regular brackets with 50 guilds each competing, but in the end only enough guilds qualified to fill half (5) of the regular brackets. Who can say whether that was because many were unable to qualify or because of the boycott, either way we saw record low participation. 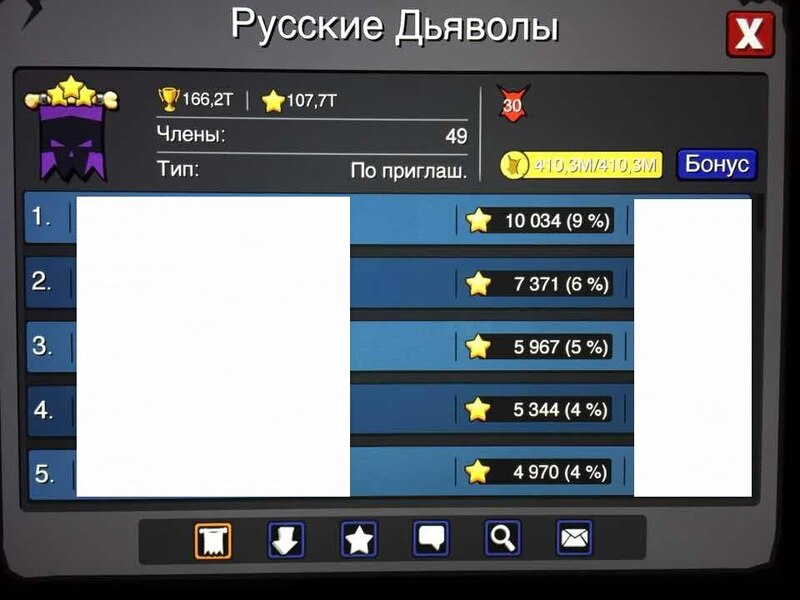 I have asked for a screen shot of the winning guilds internal star counts, but they wish to keep this info private. If you have this info than by all means please forward it to me & I will include it here. ...It is unlikely that the guilds that compete in the Horny Bracket will ever be willing to spend the gems necessary to get record breaking totals like we saw here when the prize they are awarded for doing so has been reduced so much. I suppose time will tell. The only tournament that has seen lower numbers (post the new star system) than this tournament was tournament 9. Tournament 9 saw record low numbers because it started 2 days after tournament 8 & many players sat it out in protest of having tournaments too frequently. EA listened to the protesters and increased the break in between events. Just like tournament 9, tournament 15 saw incredibly low numbers in protest of another reason. This time players were protesting the slashed rewards for placing in the top three. Only time will tell if EA again listens to it's players & returns the rewards to their pre 4.2 update values. Only 13 of the 30 brackets were filled for this tournament. Making this the worst tournament, participation wise that we have ever seen. Whether the awful participation was due to the increased star count needed to qualify (1,500) or if it was because of the slashed rewards for winning, who can say? My guess is that both reasons probably played a hand. Dread Dungeons took a vote prior to this tournament and even tho they knew they would win a better prize as individuals they decided to fight as a group & go for their fifth ring. They did however continue to honor the boycott & NOT buy any gems. Most other guilds however must have decided to go it alone tho as Dread Dungeons found very little competition in their journey for their fifth ring. It might very well have been the easiest victory they've had to date. EA has successfully eliminated almost all incentive to fight as a group for guild glory. One must wonder how long they will wait before admitting their blunder & rectifying the situation. 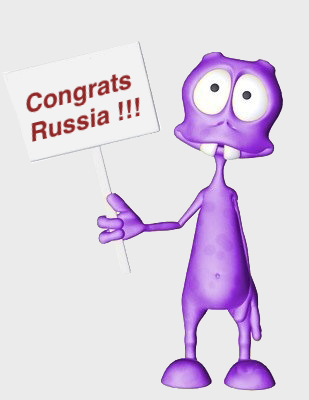 Tournament Notes: Let's all start off by congratulating "Russia" on winning their fourth ring. 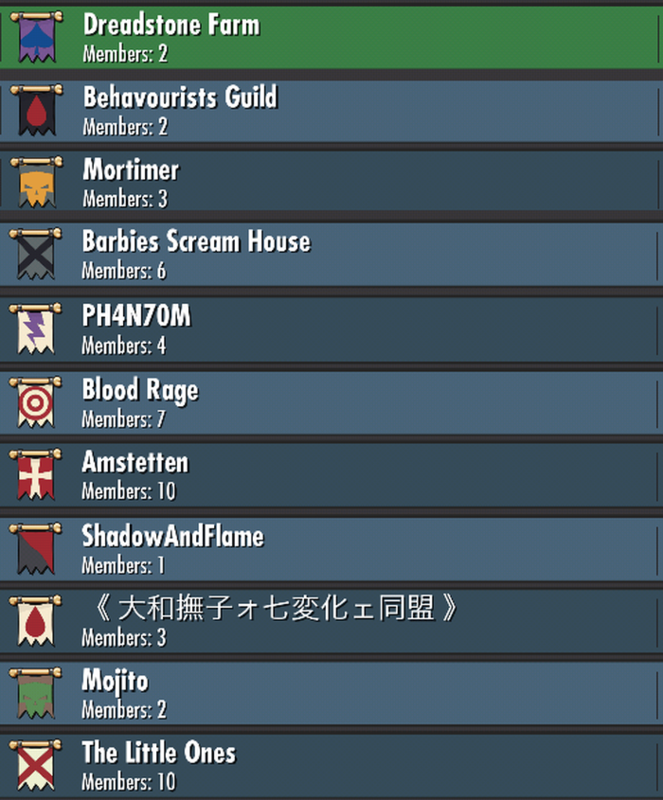 Well done guys, you have once again proven your status as a top competitive guild. Both 'Skar Tactics' & Downtown Dungeons' are tied for third with 2 rings. Unlike last time however, this tournament did not see the tough competition of the previous two. This Blitz saw the lowest numbers of any Blitz to date. It appeared that many players just couldn't justify spending gems to increase their number of raids/stars. I know personally I was in Dread Dungeons (the 2nd place guild) & I didn't even care if we came in first or second as the difference in gem/dreadstone prizes between 1st & 2nd place was not near enough to really care about fighting over when you figured you were at best looking at only winning maybe 1-5% of it. Instead I opted to challenge myself and just see how many stars I could earn without using gems. 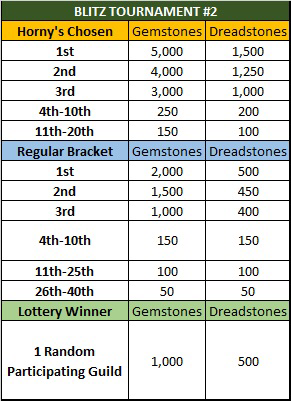 Ever since the reward payment structure was changed with update 4.2 the tournaments have shifted away from winning to a more individual game of seeing just how many of the gems/Dreadstones one could win themselves. To that end I created a thread after Blitz #3 for players to share their achievements <here>. In response to the low participation of the last two Blitz tournaments, EA did announce they will be lowering the total amount of stars needed to qualify for future Blitz tourneys. DKDev_Chris wrote: Regarding qualifier thresholds, normal tournaments will remain @ 1500 stars. Blitz tournaments, provided the qualifier period remains 1 day, will be reduced to account for the shorter qualifying period. Only time will tell if this helps or if the low participation is due to another reason such as the lowering of the rewards. Tournament Notes: It says above that the tournament started on Friday the 21st, but in truth this tournament started on the day of the qualifier, Wednesday the 19th. You see due to the fact that a guild could win 400 Dreadstones simply for coming in last place in the Horny's Chosen bracket vs 390 for placing third in the normal bracket, the smart guilds realized they were better off grabbing one of the 5 wildcard seats available in the Horny's Chosen bracket. That is more than 57% of the tournament seats left empty. Making this the worst tournament, participation wise yet & the fourth tournament in a row with less than 50% of it's seats filled. In fact every single tournament since the release of update 4.2 has seen less than half it's seat's filled. Prior to update 4.2 you never saw a tournament where there were open seats. Hard to argue that a change is NOT needed. That is 22% of the seats in this bracket filled up with solo/mini guilds. Meaning that quite a few guilds that used to enjoy competing in the tournaments have just given up on them entirely. EA you can NOT ignore these stats. A change is obviously needed & I believe I've more than explained to you what that change needs to be. Now aside from the excitement of the first hour of the qualifier, this tournament was rather uneventful. Russia easily won their 5th golden ring. They now find themselves tied with Dread Dungeons for the guild with the most rings. As for Dread Dungeons, they were noticeably absent from the leaderboard. This was due to the fact that many of it's members opted to compete in solo or mini guilds as it offered them a chance at a better individual award. There was however, a fierce battle for second place between our tournament 5 winners, the Italy guild & a new guild to the top bracket, Dark Exodus. Dark Exodus has silently been building itself up over the last months, quietly winning minor brackets while training & recruiting new active keepers until they felt they were finally ready to compete in the Horny's Chosen bracket. They decided that tournament 16 was to be their coming out party, so they rallied all their keepers to give it their all & they managed to place third. Only time will tell if they are able to continue their success & maybe become another legacy guild or if this will be the one and only times we see them in the top three. I've been watching Dark Exodus for months now & something tells me this will NOT be the last we see of this guild. It's a great, active group of Keepers and you could do worse when looking for a new home. In conclusion, I wish to congratulate the Russia guild once again for winning their 5th ring. They are a machine & it will be interesting indeed to see if it will be them or Dread Dungeons that is the first guild to win 6 rings. Tournament Notes: Hallelujah!?! It would appear that EA listened to our complaints. For this tournament not only saw higher payouts, it also saw a reduced star requirement to qualify. As such, this tournament became the very first tournament since the release of update 4.3 that actually filled all seats. Partly due to tournament burnout & also due to the fact that this tournament fell on a holiday weekend (Thanksgiving), we again saw the rebirth of the Unofficial Defender's Tournament that first made it's appearance in tournament 5. In case you aren't familiar with the concept of this tournament, the whole point of it is to compete by simply NOT competing. It awards points for successfully defending your dungeon so you therefore are able to score points by NOT playing. Three guilds that did not compete in the "Unofficial Defender's Tournament" however were our top three winning guilds. 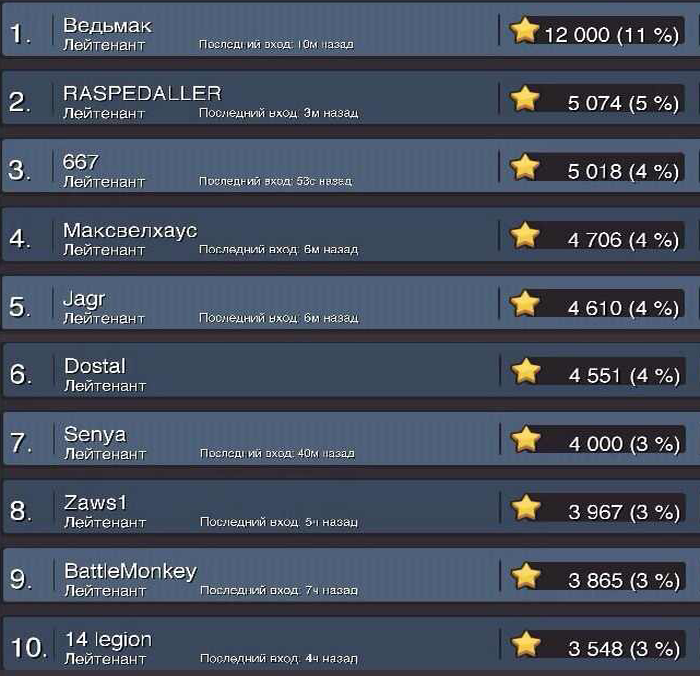 We saw a new guild top the winners list this time around, Рyсские дьяволы (translates to: Russian Devils). Russian Diggers was the first guild in this Union to win a ring after the 2nd Blitz tournament. 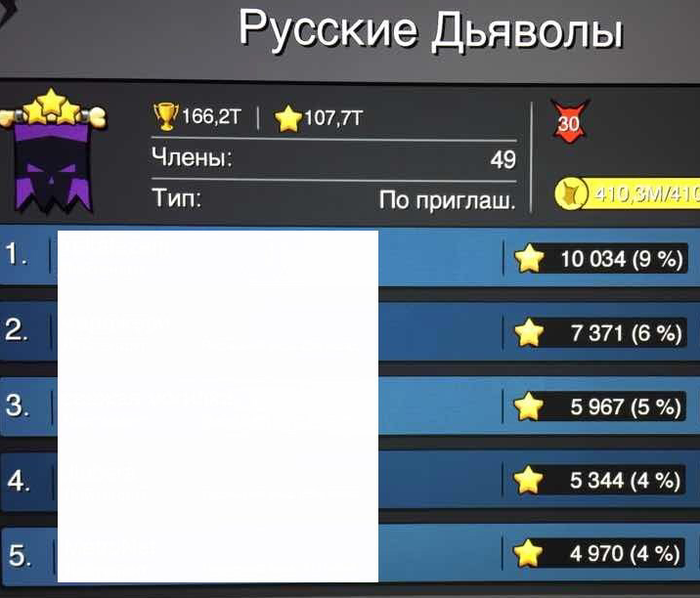 Russian Devils now becomes the second guild in this Union to win first. 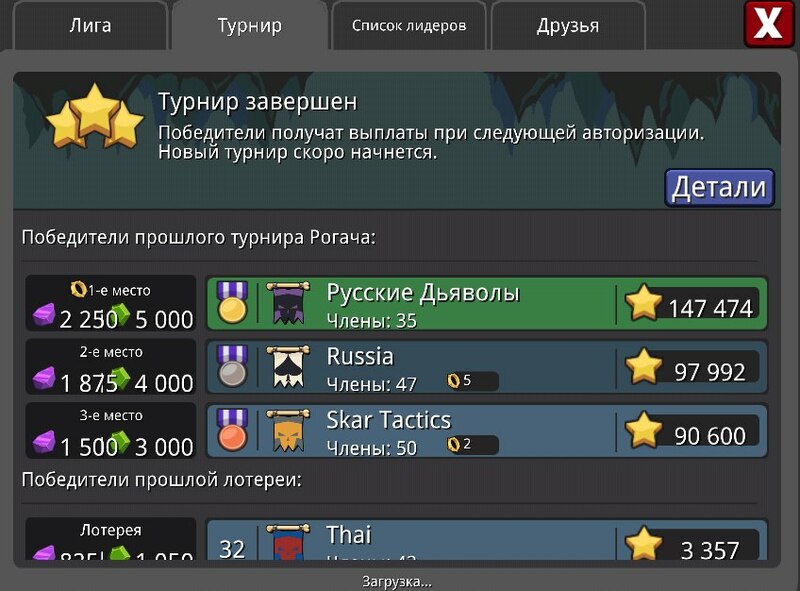 These guilds do NOT support the Boycott on buying gems that was started after the gem prize was reduced with update 4.2 & they also are NOT affiliated with the 'Russia' guild that has won 5 Horny brackets themselves. In fact the 'Russia' guild is their biggest rival. Many in this Union are out strictly to beat 'Russia'. It will be interesting indeed to watch this 'Russia' vs 'Russian Union' war play out. Will these two forces start to dominate all future tournaments or will Dread Dungeons continue to give them a run for their money? Skar Tactics appears to be making a come back as well this last tournament. Perhaps they will be able to return to their previous glory as well. Any way you look at it, things have definitely gotten more interesting as of late. Last edited by Da Grud on Tue Dec 16, 2014 1:27 pm, edited 3 times in total. Ruskies & Dreads all the way all day looks like. i remember the old days, struggling to put out my meager star count. These guys are SERIOUSLY impressive! 1. Russian digger, not Russian diggers. 3. SRG was made not against 'Russia' guild. They simply one of opponents at tourney. SRG was created for joint game, mutual support and communications. 4. Screen with top-5 players shows 24-hour record. 10034 is more than 10022 by K "Jerry" Miyagi at Blitz 1. Not sure your number 4 is correct there, i Think a few keepers have broken 10500 in a day. Maybe but I don't see screens or whatever.